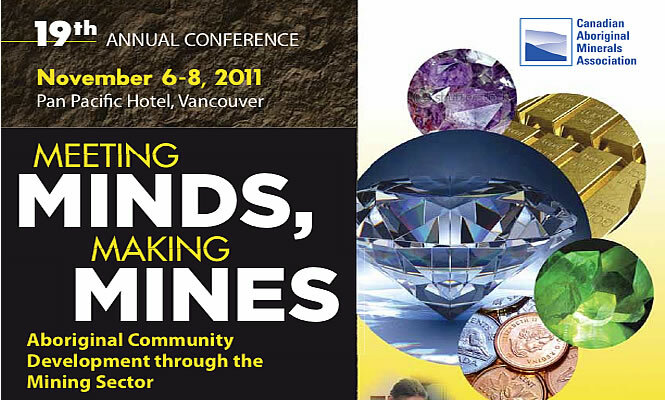 From November 6 to 8, 2011, mining companies and aboriginal communities will come together in Vancouver, B.C., for the Canadian Aboriginal Mineral Association’s (CAMA) 19th annual conference. This year’s theme, Meeting Minds, Making Mines, is a perfect summary of the goals of the association. In order for resource development to make any headway in the aboriginal communities in which they operate, these two groups need to work together to solve common problems and find solutions that benefit both parties. According to MiHR’s (Mining Industry Human Resources Council) latest research report, Canadian Mining Industry Employment and Hiring Forecasts 2010, the mining industry is the largest private-sector employer of aboriginal peoples; 6.75 per cent of the workforce self identify as aboriginal. This has a strong correlation with the fact that approximately 1,200 aboriginal communities are located within 200 kilometres of operating mines and exploration properties across Canada. It is impossible to ignore the significant relationship between aboriginal communities and mining companies, and CAMA hopes that this year’s conference will bring to light solutions for the two groups who are so intricately entwined. CAMA is a not-for-profit aboriginal organization that facilitates relationships between mining companies and aboriginal communities. It strives to promote better understanding among the players and address common issues, concerns and desires. The organization's goal is to learn how to work together for mutual benefit. CAMA president Hans Matthews said CAMA started in 1991 as a result of the confusion, uncertainty and conflict that was created during the Oka crisis in 1990. According to Matthews, what happened was that not only were private landowners concerned with the uncertainty of title and the impact of aboriginal title but mining companies were also concerned with the impact on their access to minerals and security of investment. Meeting Minds, Making Mines sets the stage for how mineral development must occur. 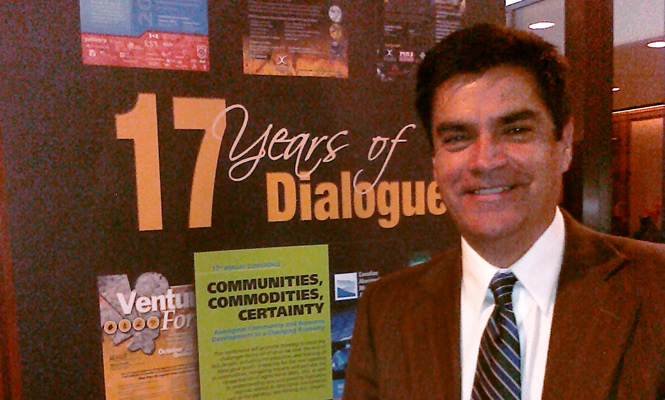 Aboriginal communities and mineral companies must have a meeting of minds about how mineral development will proceed. Basically what they are seeing now, especially with the uncertainty in the economy, is that a lot of companies feel frustrated that working with communities may still be a challenge, and this brings about investment uncertainty. Issues being discussed at the 2011 conference focus on everything from the United Nations Declaration on the Rights of Indigenous Peoples to climate change, the global economy, how to organize a community to negotiate with a mining company, how to structure a community to make sure the political will of the community keeps them online with the objective of the community as a whole—and anything in between. According to the MiHR, the aboriginal population is growing six times faster than Canada's non-aboriginal population. Furthermore, aboriginal communities are located in close proximity to mine and exploration sites, making local peoples an ideal source of human resources. These people are also the experts on the very land on which they live. Other ways the two groups can work better together, according to Matthews, is through infrastructure, mine closure planning and access to resources planning. 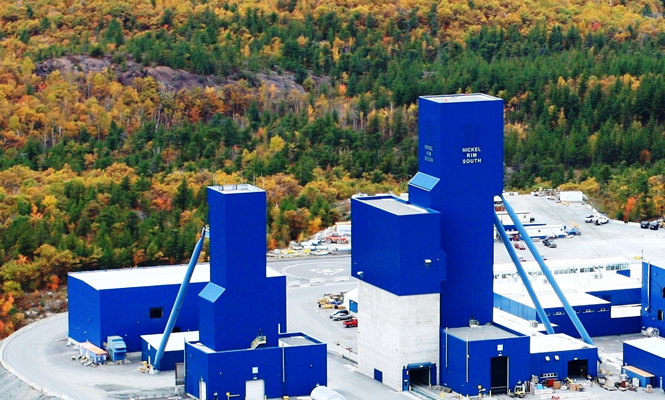 In Ontario, an amendment to the province's mining act in 2009 states that the amended act will be Canada’s first mining legislation to introduce a dispute resolution process for aboriginal-related consultation issues. The legislation also introduces a graduated approach to aboriginal consultation. This approach outlines consultation requirements, requires environmental rehabilitation and introduces plans or permits for exploration activities. Matthews said the amended act requires that communities be involved in advanced mining exploration programs and closure plans of mines. This helps mining companies complete environmental assessments for new mines and also allows for infrastructure when a mine closes. A positive trend that Matthews has seen is mining companies taking on a bigger role in regards to social responsibility. Matthews also said communities are surrounding themselves with a good variety of advisors. So instead of as it was in the early days, where a lawyer would be called first and foremost when there was an issue, communities are now calling in people who are experts on the subject at hand, allowing for a conversation to open up. Attendance at the conference is expected to double this year, with about 1,000 people expected. For more information on the conference, check out CAMA’s website.